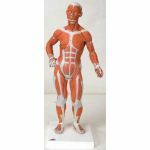 This unique MRI torso is horizontally sectioned into 15 slices, giving a distinctive view of human anatomy. 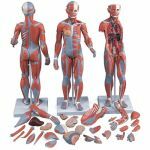 The topographical relationships of the torso are represented as colored reliefs on the individual sectional planes. 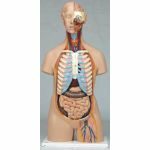 For a closer study of the internal anatomy of the torso, each disc can be shifted horizontally and rotated around its sagittal axis. 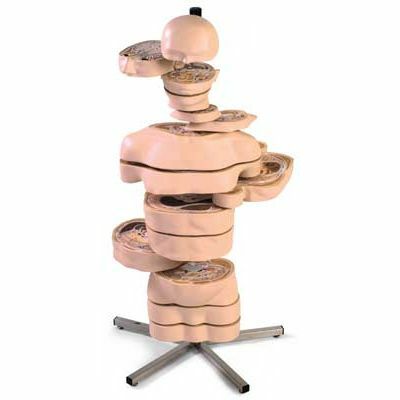 Each disc within the MRI torso can be individually removed. 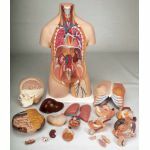 The results are a brand new understanding of human anatomy that is both interesting and engaging for students. 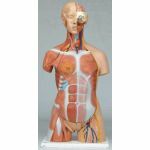 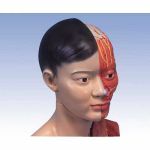 This MRI torso is a great addition to any medical or biology classroom!